IMF members pledged to avoid devaluing currencies to seek a trade advantage by making a country’s exports relatively cheaper. 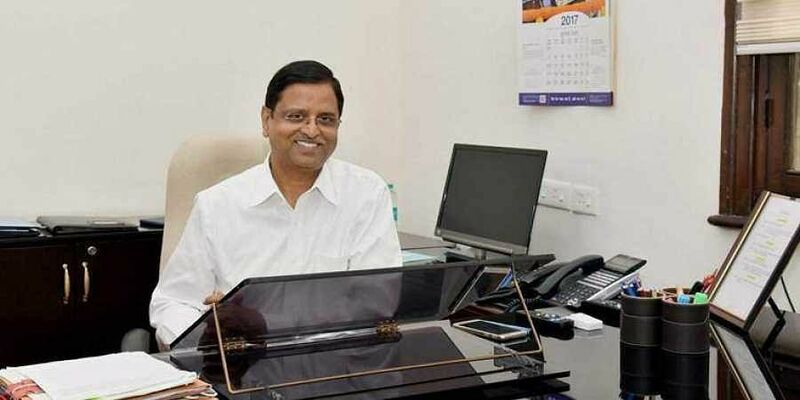 NEW DELHI: In a world where digital technology is changing the very fundamentals of labour and industry, India’s economic affairs secretary Subhash Chandra Garg stressed on the need to recognise the importance of such changes at the annual meeting of the International Monetary Fund (IMF) and the World Bank in Bali, Indonesia. Garg went on to point out in other meetings on Saturday, that India has been embarking on a series of structural reforms in order to increase economic resilience in such an atmosphere. According to him, structural reforms in areas like taxation and bankruptcy are helping the Indian economy in building its resilience to global shocks and maintain a robust growth rate despite challenges. Prudent policy measures have helped, Garg pointed out, adding that measures being undertaken now, will also help contain the stress currently seen in financial condition tightening, and oil prices etc. In fact, the meeting of global financial leaders was wrapped up with warnings that countries will need to brace for potential risks arising from trade disputes and other tensions. IMF members also pledged to avoid devaluing currencies to seek a trade advantage by making a country’s exports relatively cheaper. The IMF actually started the meetings with a downward revision of its global growth estimate for 2018 from 3.9 per cent to 3.7 per cent. “I think it’s not inconsistent to have a plateaued growth and downside risks that are the clouds on the horizon, some of which have begun to open up,” IMF Managing Director Christine Lagarde said.